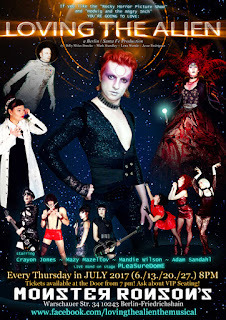 Monster Ronson's Ichiban Karaoke: LOVING THE ALIEN: Landing at Ronson's in July! LANDING AT RONSON'S in JULY: LOVING THE ALIEN! Every Thursday in July @ Ronson's! 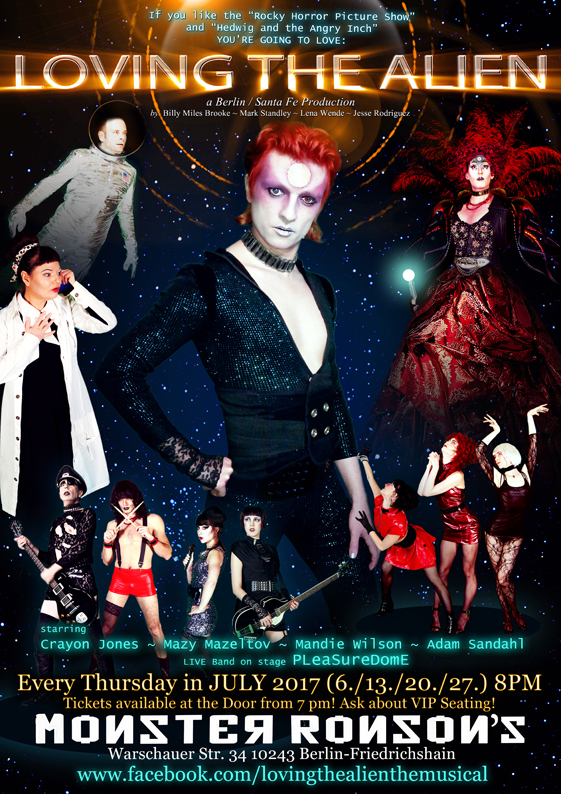 making its European premier Thursday, July 6th, in Berlin, at Monster Ronson’s Ichiban Karaoke. Tired of waiting for your turn to sing on the weekend? Come sing on a Thursday! I can't wait for LOVING THE ALIEN! KILL YOUR HANGOVER! Come down easy and then get back up on stage with KÄPT'N & the monsters! DIENSTAG 30.5.17 ab 21 Uhr - THE HOUSE OF PRESENTS: DRAG RACE!